The WorkForce Pro WF-6090 letter/legal-size printer, powered by PrecisionCore®, saves up to 50 percent on printing costs vs. color lasers. Minimize downtime with Epson's highest-yield cartridges, which print up to 7000 black/color pages before replacement, and a paper capacity up to 1580 sheets. 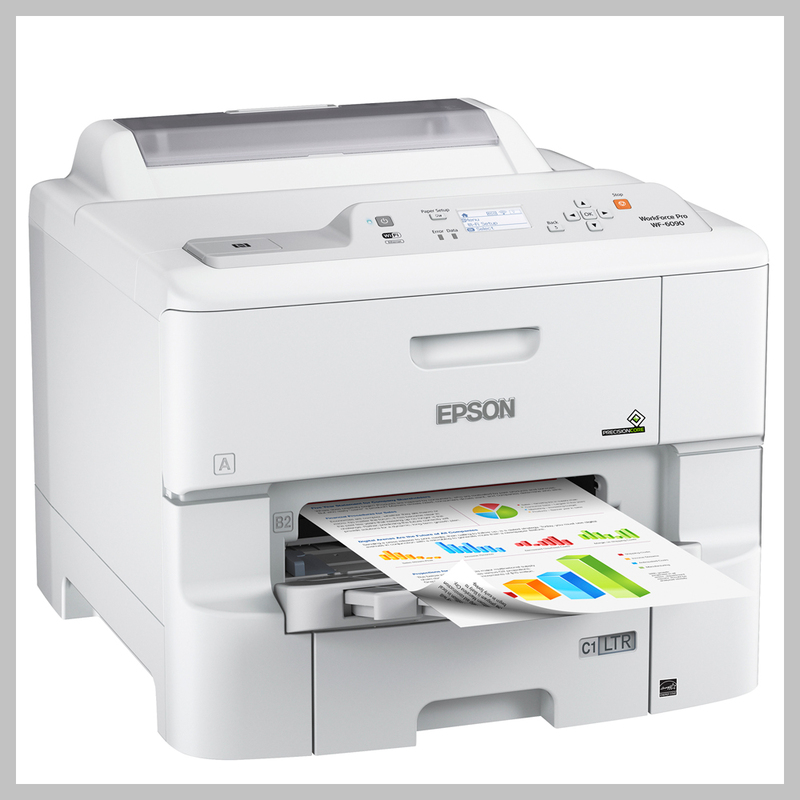 Epson's fastest office printer, the WF-6090 includes built-in auto duplexing and delivers pro-quality documents as fast as 24 ISO ppm (black/color). IT tools and security features make network integration seamless for shared printing. Plus, it's enabled with remote printer data collection compatible with MPS software solutions. Compatible with Windows 7: "Compatible with Windows 7" software and devices carry Microsoft's assurance that these products have passed tests for compatibility and reliability with 32-bit and 64-bit Windows 7.